Westchester County is usually assumed to just be an area of people who commute into New York City for work. Locals know it is a great area to explore all the fabulous things to do in Westchester, NY. For a more in-depth guide to things to do in Westchester County, be sure to download our free Vacation Guide. View our top picks for the best things to do in Westchester, NY below and plan your getaway to our Connecticut bed and breakfast. What is one of the Best Places to Stay Near Westchester County? Bed and breakfasts in Westchester County seem to slowly be disappearing. Luckily, the Stanton House Inn is still close to the Hudson Valley and Westchester County. 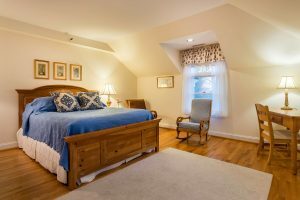 In fact, our romantic bed and breakfast near NYC is close to so many attractions and activities. We’re accessible by car or train from New York City, as well as much of Westchester County and the attractions on this list. Be sure to look at our specials and packages before planning your romantic weekend getaways near NYC with us. Kykuit is situated on the highest point of Pocantico Hills hamlet in the Hudson Valley. It is also known as the John D. Rockefeller estate after the eponymous oil tycoon and capitalist whose family lived in the house for four generations. Featuring a view of the New York City skyline only 25 miles south, this beautiful estate and home is now open to the public. The Rockefeller State Park Preserve is a beautiful state park in Sleepy Hollow, New York. It is perfect for a long walk on wooded hiking trails. 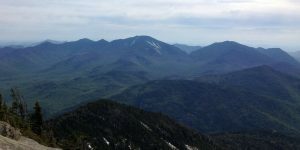 With many examples of varied habitats, the National Audubon Society has designated it an “Important Bird Area”. The Capitol Theatre of Port Chester, NY, has recently re-opened as a concert venue. It attracts many major musicians and performers. This historic theater is well-worth a visit for a show, and an easy train ride away from the Stanton House Inn! A historic theme park on the water in Rye, New York, Rye Playland is an opportunity to enjoy a time gone by. A boardwalk, beach, and free summer concert series add to the fun experience. Be sure to stop by for fireworks every Friday in July and August! Overlooking the Hudson River in Tarrytown, New York, is the majestic Lyndhurst mansion. 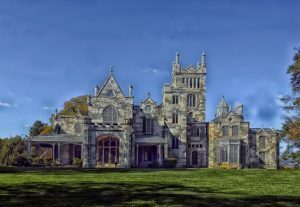 Now a historic site, Lyndhurst is one of America’s finest Gothic Revival mansions. Rolling lawns are accented with century-old weeping Beech trees and rose gardens. With a fascinating past and old-world elegance, Lyndhurst in Tarrytown is a wonderful place to visit during any time of year. Looking for the perfect gift for that special someone or just want to indulge in some retail therapy for yourself? Westchester, New York is the ideal place to get your fix. In particular, the downtown area of White Plains, NY, is the leading retail hub in Westchester County. It offers a variety of shopping districts and malls that are filled with famous New York-based specialty stores. From high-end brands to affordable, quality merchandise, you’ll find it all when you spend a day shopping in White Plains. Make sure you clear some space in the car for all your bags! The park, first opened in 1913 on a site that was once considered as a location for a prison, is home to a variety of terrains, from mountainous climbs to water view paths. Just 45 miles away from New York City, some Manhattan skyscrapers are even visible in the distance. Far from the industrial hubbub, Bear Mountain State Park hiking trails offer a wildlife oasis away from the Big Apple. Whatever path you choose, the panoramic sights are incredible to absorb. Situated in Bedford, New York, the Mianus River Gorge Preserve offers 755 acres of rich woodland and old-growth forest. It’s less than an hour away from the hustle and bustle of New York City (and a 24-minute drive from the Inn). The Preserve provides a habitat for hundreds of species of animals, fungi, and organisms in the soil and water. A walk will expose you to various types of trees, shrubs, vines, herbs, and ferns. Originally constructed in 1837, the Old Croton Aqueduct in Dobbs Ferry, New York, is a National Historic Landmark. It attracts thousands of visitors each year. The 41-mile aqueduct runs from Van Cortlandt Park in Bronx County to the Croton Dam and is covered by a scenic path known as the Old Croton Aqueduct Trail. 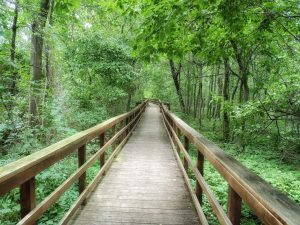 Winding through urban centers and small communities, the trail passes numerous historic sites, preserves, and landmarks and offers abundant recreational opportunities during any time of year. For many more things to do in Westchester, including attractions, activities, events, restaurants, and more, be sure to download our Vacation Guide!